In 2008, the United Nations recognized World Oceans Day on June 8 as a time to celebrate the immense bodies of water that make up roughly 70 percent of the surface of the Earth. The goal of the day is to promote conservation efforts and engage activists in preserving these five crucial areas—the Pacific, Atlantic, Indian, Arctic, and Southern (Antarctic) Oceans—and their inhabitants. If you don’t know much about the deep blue sea—like why it's not actually blue, for example—check out 25 facts we’ve culled about the world’s largest and most fascinating real estate. 1. THE SUN GIVES IT THAT BLUE TINT. One of the most indelible features of the oceans is the deep blue waters that are continually churning, rolling, and coming in waves. The color is the result of the sun’s red and orange wavelengths being absorbed by the surface and its blue wavelengths penetrating deeper, giving way to a blue tint. And because those wavelengths can travel further down, the ocean will tend to appear more blue the lower you go. Why isn't water in a glass blue when you're sitting outdoors? There aren't enough molecules to absorb the light. 2. THEY'RE KEEPING THE INTERNET ONLINE. If you could catch sight of the miles of cable criss-crossing the world’s oceans, it would look like a giant, submerged web. Communications companies maintain international connections by feeding cables down to (hopefully) flat surfaces on the ocean floor. Some require shark-proof layers to prevent predators from biting into your Netflix stream (although the danger of sharks has been vastly overhyped—human activity is a far bigger threat). 3. THE DEEPEST PART IS REALLY, REALLY DEEP. The Mariana Trench is considered to be the deepest part of the world’s oceans. Inside of the Trench is a valley known as Challenger Deep that extends roughly seven miles (36,070 feet) below the surface. For comparison, the entirety of Mount Everest—at 29,029 feet—could easily be accommodated there. Manned explorations haven’t gone any further than 35,797 feet below the surface, a record set by two oceanographers in 1960. 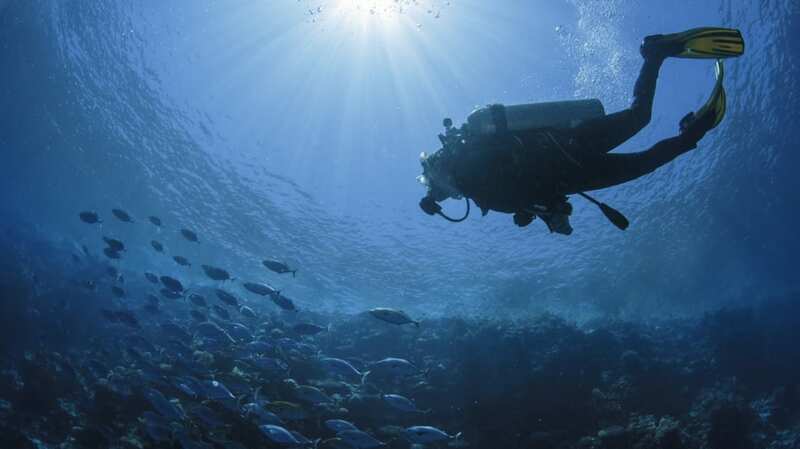 In 2012, filmmaker James Cameron explored roughly the same depths in a solo mission. It’s considered the deepest point on Earth. 4. SOUNDS CAN TRAVEL TO THE DEEPEST EXPLORED AREAS. Researchers once lowered an underwater microphone called a hydrophone to almost the bottom of the Mariana Trench to see what sounds—if any—it might pick up. After feeling relieved the immense pressure at those depths—about 8 tons per square inch—didn’t implode the equipment, they discovered that sound from earthquakes, passing baleen whales, and other ambient noise was audible. 5. LAKES AND RIVERS LIE BENEATH THE SURFACE. Some surfaces in the ocean feature sights that don’t seem to make any logical sense—rivers and lakes, some of them miles long, can stretch across the ground even though they’re submerged. How can a body of water exist in a body of water? Water from under the sea floor seeps up and dissolves salt layers, forming depressions. Because the water in the depression is more dense than the water all around it, it settles into the depression and forms a distinct pool. 6. THERE ARE 20 MILLION TONS OF UNTOUCHABLE GOLD IN THE OCEANS. If you’re hoping to find a fortune in gold prospecting, don’t expect the ocean to cooperate. You may be able to plunder a shipwreck, but you won’t be able to collect much of the 20 million tons of gold estimated to exist in the water. That’s because it’s so diluted that it’s measured in parts per trillion. 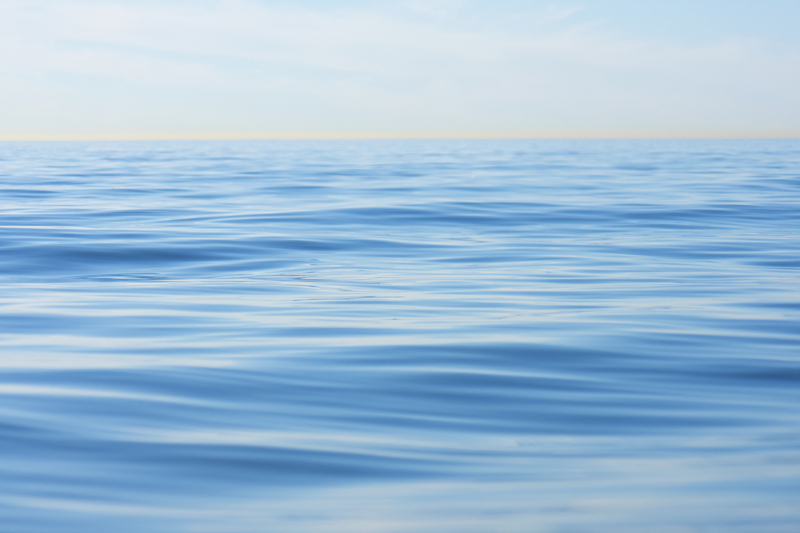 One liter of seawater might net you a 13-billionth of a gram. 7. WE KNOW MORE THAN YOU MIGHT EXPECT. You might see mentions that we’ve "mapped" more of Mars than we have the Earth’s oceans, but that’s not quite true. Oceanographers have been able to visualize almost 100 percent of the ocean floors, albeit in a resolution that makes it difficult to spot a lot of detail. In that sense, images of Mars and other planets have been able to offer more information because they’re not covered in water that can block radar. Although we haven't explored the vast majority of the oceans first-hand, technology has enabled us to have a rough idea of their layouts. 8. THE BIGGEST WATERFALL ON EARTH IS IN THE ATLANTIC. Putting Niagara Falls to shame is the Denmark Strait, a waterfall below the Atlantic Ocean that, in terms of water volume, is the equivalent of 2000 of the world’s most notable waterfalls, with cascading liquid pouring 11,500 feet down. The Strait’s cold water on the eastern side is more dense than the warm fluid coming from the west. When the two waters mix, the colder supply sinks, creating a waterfall. 9. 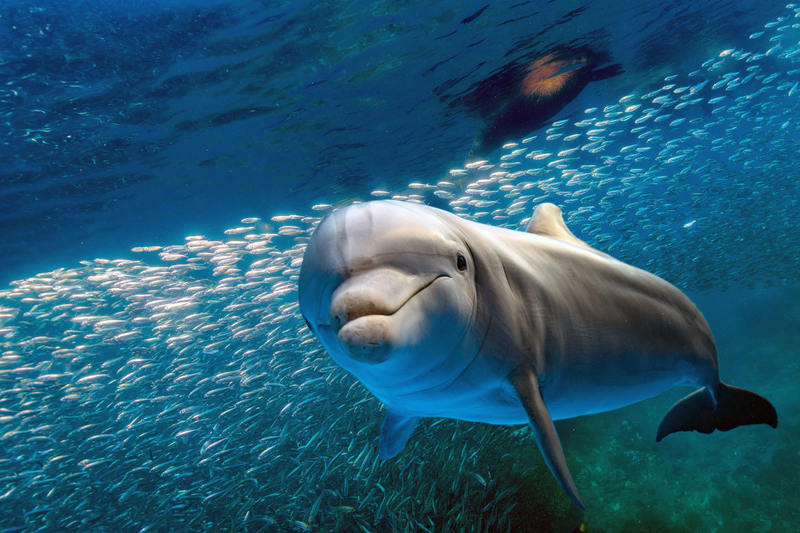 WE DON'T KNOW ANYTHING ABOUT MOST OF THE MARINE LIFE. Size and water pressure conspire to limit our exploration of the oceans, so much so that it’s estimated we’ve identified only one-third of the potential marine life lurking beneath the surface. It’s possible most of those are smaller organisms, but it’s likely that some whales and other mammal species have yet to be discovered. We’re making progress, though: An average of 2000 new species are described each year. 10. MAGELLAN NAMED THE PACIFIC OCEAN. When Ferdinand Magellan crossed the Atlantic beginning in 1519, he eventually found his way to another body of water—what he dubbed the Pacific, or peaceful, ocean due to the calm surface. He didn’t know it at the time, but the Pacific would eventually be recognized as the largest ocean on the planet at 59 million square miles. 11. THE MOST REMOTE PLACE ON EARTH IS IN THE SOUTH PACIFIC. Known as Point Nemo, the area is roughly 1000 equidistant miles away from the coasts of three neighboring islands and so remote that astronauts are often closer to any theoretical occupants than anyone on dry land. 12. MOST VOLCANIC ERUPTIONS ARE UNDERWATER. Up to 80 percent of volcanic eruptions go unnoticed by land-dwellers. That’s because they’re erupting underwater. An estimated one million volcanoes—some extinct and some very active—spew molten hot lava. Despite the heat, creatures can still be found near their superheated vents. Researchers believe these areas harbor several undiscovered species that are invulnerable to the harsh conditions, including water temperatures up to 750 degrees Fahrenheit. 13. THERE MAY BE BILLIONS IN SUNKEN TREASURE DOWN IN THE DEEP. It’s impossible to offer an accurate estimate of how many shipwrecks and accompanying treasures are lurking in the oceans, but a few people have made an honest effort of it. 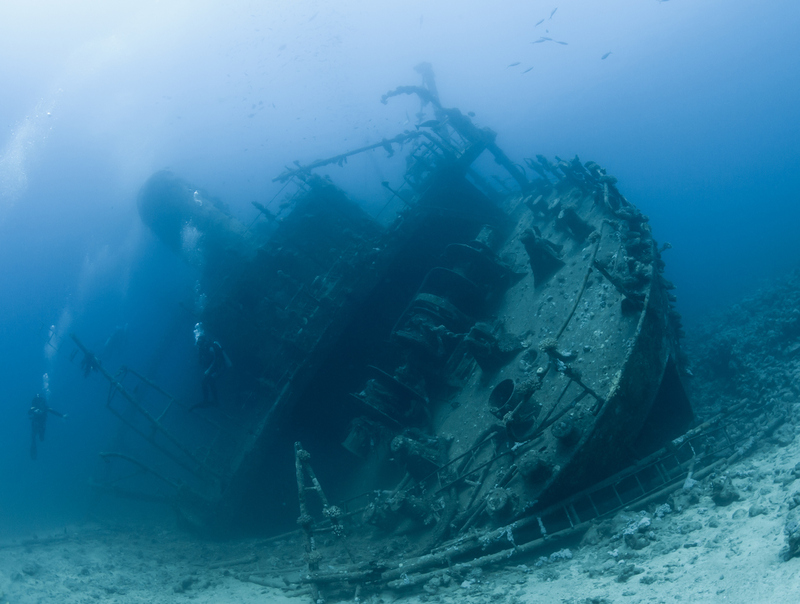 The National Oceanic and Atmospheric Administration (NOAA) thinks a million sunken ships lurk in the dark; others peg the total value of the unrecovered treasures at $60 billion. So why don’t we hear more stories of watery grave-robbing? Because governments or private parties are likely to make a legal claim to those funds, making an expensive expedition for treasure a gamble at best. 14. THEY KEEP US BREATHING. Forget all the beauty and wonder of the world’s oceans: At the bare minimum, they’re responsible for supplying us with oxygen. Oceans produce 70 percent of the oxygen supply in the atmosphere thanks to marine plants releasing it as a byproduct of photosynthesis. One phytoplankton, Prochlorococcus, is estimated to be solely responsible for one in every five breaths a human will take. 15. "DEAD ZONES" CAN BE BARREN OF ANY LIFE. One reason pollution is such an issue for oceans: It can rob them of the oxygen needed to support life. When run-off from waste disposal gets into the water, it can feed an overabundance of algae, which then dies, sinks, and as it decomposes, consumes the available oxygen in the water. That creates hypoxic areas, or hot spots with a lack of oxygen. If fish and other marine life don’t find a new space to dwell in, they’re toast. 16. THE FISH ARE EATING A LOT OF PLASTIC. With over seven million tons of plastic winding up in the ocean each year, it’s inevitable that a lot of it winds up as part of an unwelcome addition to a fish’s diet. For fish in the northern Pacific, researchers at the University of California, San Diego once estimated they swallow between 12,000 and 24,000 tons every year. 17. KEEPING TROPICAL PET FISH MIGHT BE HARMING THE OCEANS. 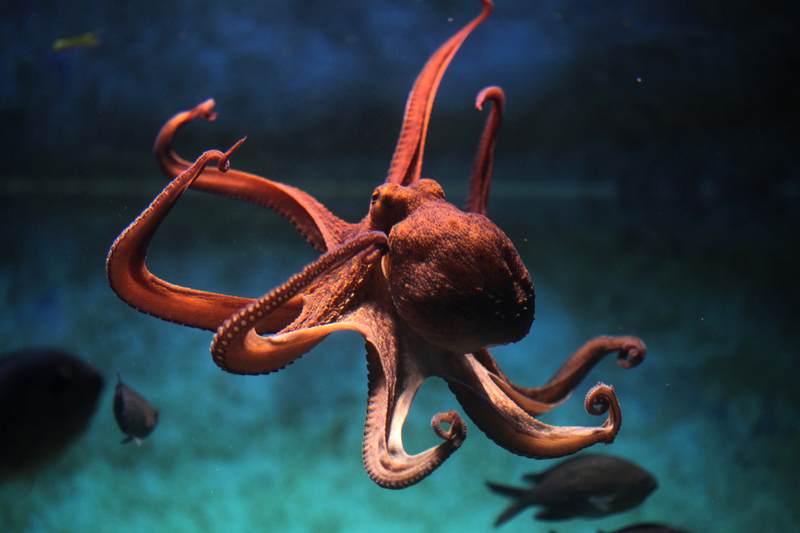 Those aquariums in pet stores and dental offices might remind you of marine life, but they might also be having a negative impact. 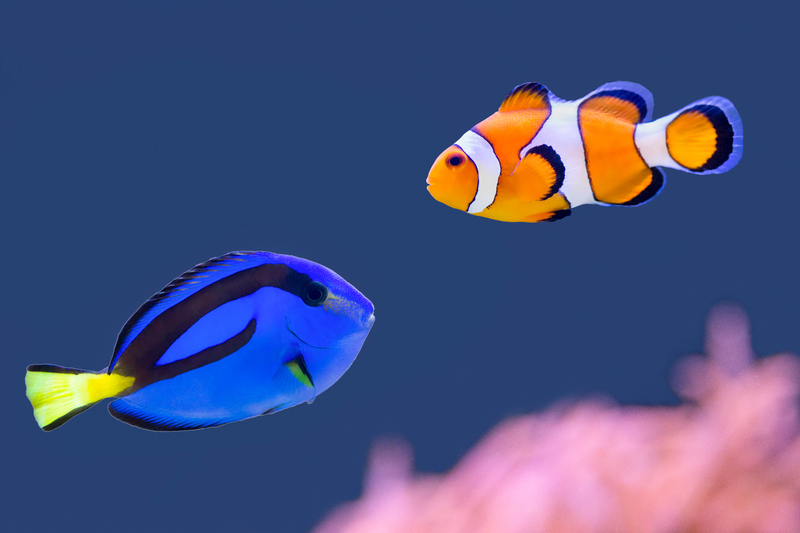 When tropical fish are caught, fishermen use sodium cyanide to make them float out of the reef for easy scooping. While the hope is that it just stuns them, the residue of the chemical can bleach coral reefs and kill scores of other fish. When waves reach shallow water near land, energy that would normally be dispersed goes up, elongating the wave. A 1958 earthquake and landslide in Alaska generated a tsunami 100 feet high and destroyed all vegetation up to 1720 feet, the largest in recorded history. 19. ...BUT THE BIGGEST WAVES ARE UNDER THE SURFACE. Called internal waves, these water walls have been found three miles below the surface. The waves are part of water layers with different densities and can reach heights of 800 feet before collapsing. Scientists believe these massive forces can help move heat and nutrients to other areas. 20. 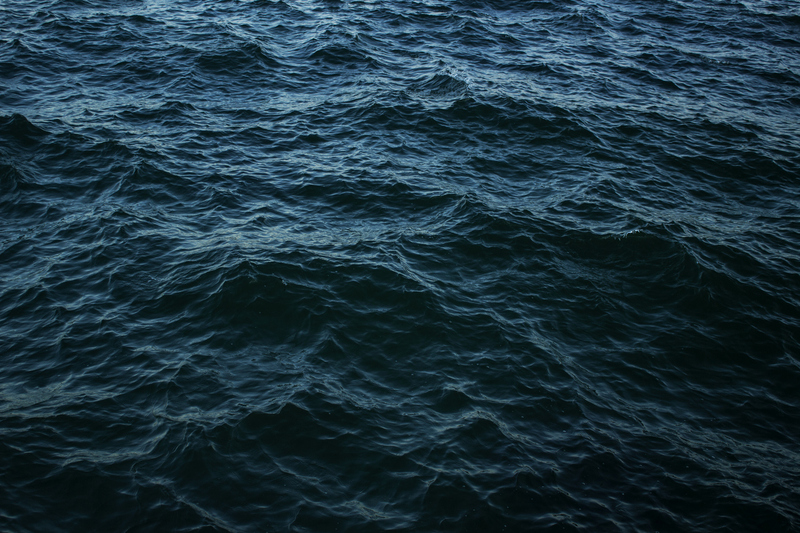 WE'RE TRYING TO MAKE THE OCEAN DRINKABLE. As most everyone knows, drinking salt water is perilous at best and deadly at worst. 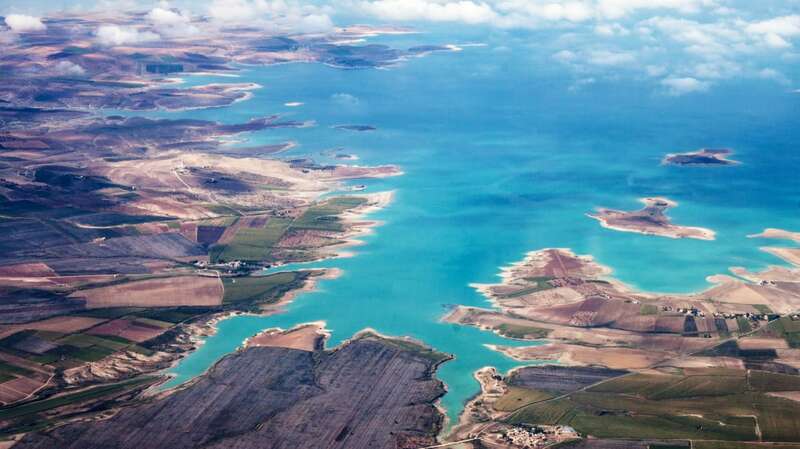 In a process called desalination, that salt is removed, leaving fresh water. But building facilities and the energy required to process water this way has traditionally been more expensive than sourcing water from potable sources. 21. THE BRISTLEMOUTH IS THE MOST ABUNDANT VERTEBRATE IN THE WORLD. Not familiar? If you saw one, you’d know. 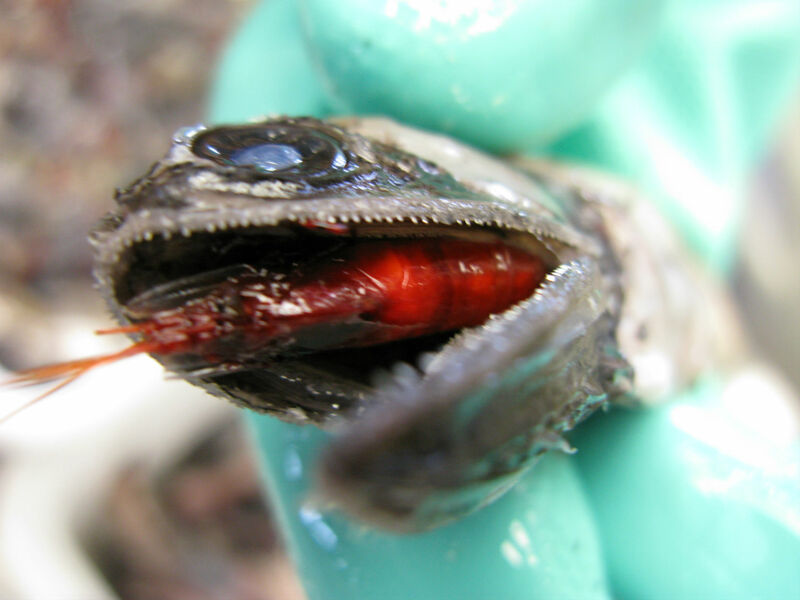 The bristlemouth is a fish a little smaller than your average human finger that has a mouth full of fangs and can glow in the dark. It’s also the most common vertebrate in the world. For comparison? Chickens could number as many as 24 billion on land, while bristlemouths are said to add up to the hundreds of trillions. 22. GIANT KELP GROWS VERY QUICKLY. Giant kelp, or Macrocystis Pyrifera, is a type of seaweed that experiences an astonishing growth spurt. To reach its usual height of 100 feet, the species can grow up to two feet in a single day. 23. RUBBER DUCKS HAVE HELPED OUR UNDERSTANDING OF THE OCEANS. 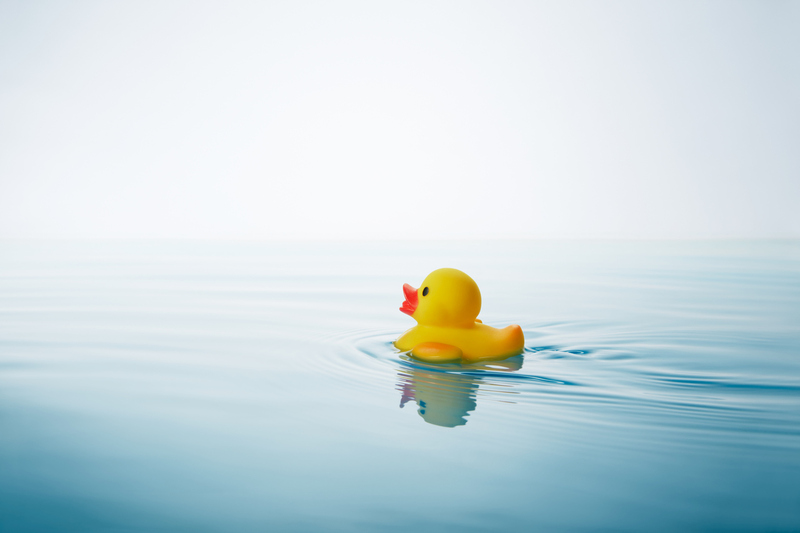 In 1992, a shipment of bath toys was headed from China to the U.S. when the cargo ship dropped a container. More than 28,000 rubber ducks—or duckies, depending on your preference—and other play-animals were dumped into the North Pacific Ocean. Oceanographers tracked where the ducks wound up in order to better understand the water currents, with some landing ashore in Europe and Hawaii. The duck sightings didn’t ease up until the mid-2000s. 24. ANTARCTIC FISH HAVE NATURAL ANTIFREEZE. Curious how aquatic life can survive the temperatures at the poles? Antifreeze proteins in the fish prevent ice crystals from growing, preventing their blood from being overcome by the chill and allowing it to continue flowing. 25. SEASHELLS DON'T ACTUALLY SOUND LIKE THE OCEAN. Seashells have long been perceived as the iPods of the sea, tiny little devices that can mimic the static, hissing noise of the water. What they’re actually doing is acting as a resonator, or a cavity that allows sound to vibrate. 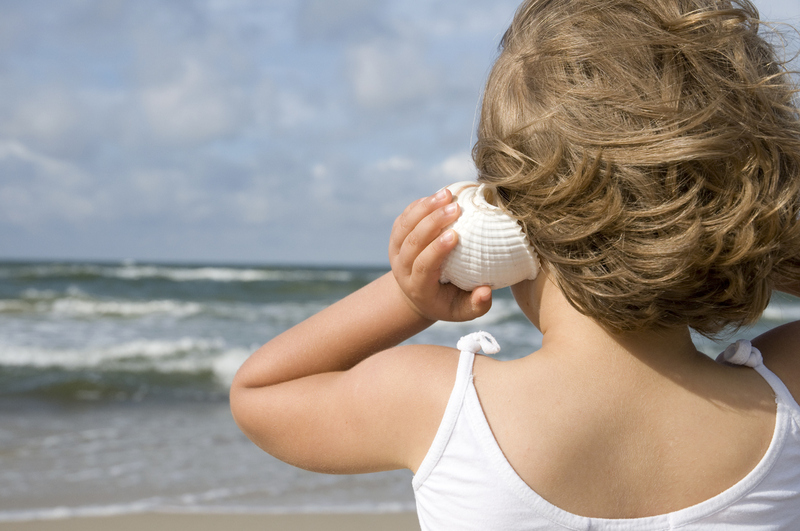 By holding up the shell to your ear, you’re hearing the ambient noise around you amplified. All that whooshing air typically sounds a lot like the movement of cascading waves. If you can't make it to beach, though, it might be the next best thing.